Having more than one dog can be a real handful. Let our range of Multi Dog Leads take the stress out of walkies, giving you maximum control as well as a free hand for treats, gates and games of fetch. 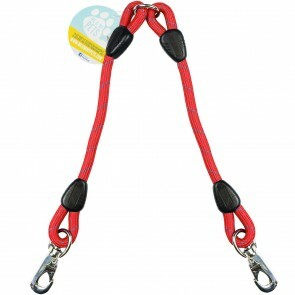 Amid the range, you'll find Rope Lead Splitters in red, blue and black, as well as Triple Rope Dog Lead Splitters for when you have three pups scampering about your feet!